I wanted to buy a noise-cancelling wireless headphone for a while now. And so, I bought the JBL E65BTNC. This is a review of the said headphones. The E65 is one of JBL’s good looking headphones (in my opinion at least). The BT in its model name stands for Bluetooth, which is how it’s connected wirelessly to your device. The NC stands for Noise-Cancelling, which is its primary feature. The aesthetic looks good (in my taste at least). 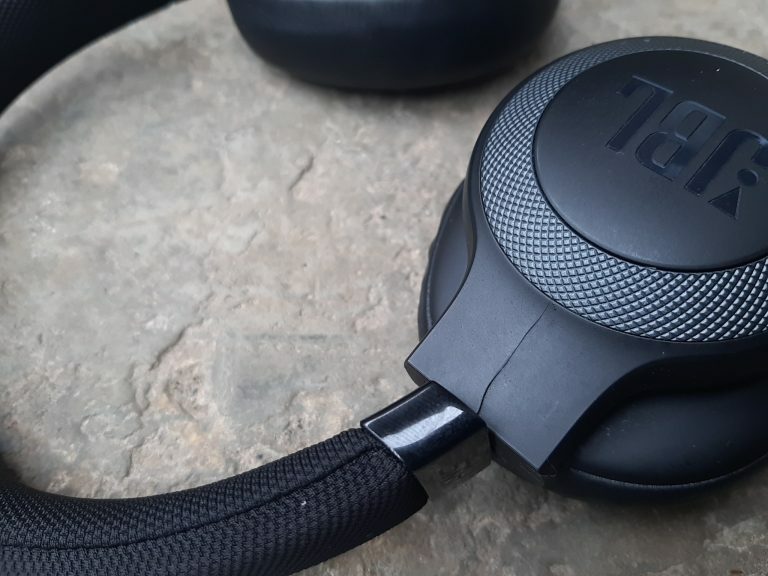 It has the same design language as the others in JBL’s E-Series line of headphones. The device is mostly plastic, with a sort of rubberized finish. The adjustable band and the hinges are metal making it sturdy. The headband has some sort of cloth material which feels really nice on the head, as well as on the hands when carrying the headphones. You can choose between the colors Black, Blue, and White. Personally, I like the blue one, but it wasn’t available, so I opted for the black one because I also like anything matte black. In one of my trips, I packed the E65 in my backpack (my backpack has a loop inside where you can hang your headphone). But I later found that there was a crack on the cup near band. It was probably due to the backpack being sandwich by heavier bags. So if you are planning to buy an E65, I suggest to also buy a headphone hard case for it. Bass on the E65 is pretty powerful as most consumers, including myself, would probably prefer. Mid-range are well tuned, especially the high-mids. But the high-end is probably the best sounding of all, it is very clear which makes for a pleasant listening. Soundstage are good as far as headphones goes. It isn’t as great as most high-end headphones, but pretty decent for its price range. The noise-cancelling is quite decent. It is not the of best quality, but it’s certainly up there. I’ve used a couple of times on planes and it’s perfect for locking out the noise some passengers make (especially on economy seats). Its battery life is amazing, I had it last for a full day on one trip. The comfort these cans offer is amazing. I’ve used it a few times on some travels, and I didn’t feel any discomfort while travelling. Although the cup could be much bigger. It fits my ears just fine, but I don’t think it would fit people with bigger ears. Its band is a bit tight, but not so much that I feel discomfort. Just enough to keep the headphones on my head. The cups also rotate for easy storing or for packing it for travels. The JBL E65BTNC is a great noise-cancelling headphone. It is not one of the greatest, but it is probably the best on its price range. The design is sleek and stylish, and in my opinion, would look good on any head. I would recommend this wireless headphone but not on people with bigger ears and/or head. It is decently priced as well. 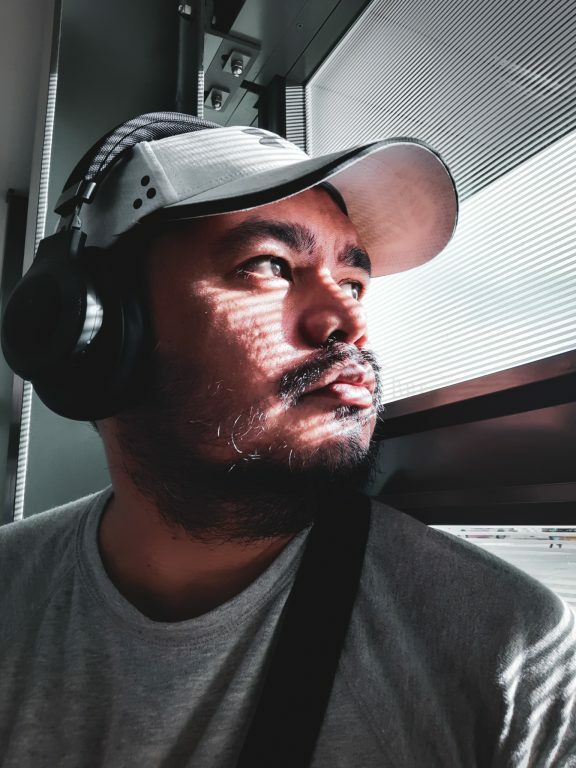 So if you’re looking for an affordable wireless noise-cancelling headphones, the JBL E65BTNC is definitely worth to check out. The JBL E65BTNC is available in all JBL Stores nationwide, as well as at A.Refinery (specifically at Abreeza Davao where I bought this from). The wireless headphone comes in Black, Blue, and White, and has a price tag of Php 8,999.